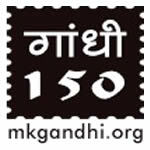 Know Gandhi Quiz Campaign is organized by Bombay Sarvodaya Mandal as part of 150th Birth Anniversary of Mahatma Gandhi in 2019. At last it is live. The Know Gandhi Quiz program, which we have planned to celebrate the 150th birth anniversary of Gandhiji has started on 30th January 2019, which will continue till 02nd October 2019. Thanks to Shri. Somayya Kakka for providing us a platform and unconditional support. It would have remained as an unsuccessful paper project without his whole-hearted support. In the past, for almost one year, we were knocking at the doors of many institutions and organizations to get a nod to launch this project. Though they all claim as standing to uplift and spread Gandhian thoughts and ideas, never bothered to support us to launch this project. We didn't create a new domain but used only a sub domain. Not a single paisa is spent for its development, for launching and for advertisement. We have prepared the posters. Sent emails and posters to various schools across the country. Placed free ads in magazines like Bhavan's Journal and Dimdima Children's Magazine etc. Informed all major newspapers about this Know Gandhi Quiz. Succeeded in placing banner advertisement on various websites. Nearly 10,000 emails have been sent to various schools in India and have sent a lot of SMS to individuals. Added the announcement as auto reply to many email ids which we handle. All this we have done and still doing during our lunchbreaks and free time. Everyday till 12.00 in the night and from 4.30 in the morning we utilized all our free time for its development and promotion. Even while travelling we used to send SMS and emails to promote this. Thanks to those principals, who have realized the benefit their students may get by participating in this quiz, have placed the posters on their school noticeboards and also announced it in their school assemblies. Thus we have got young students from Delhi, Kerala, Karnataka, Maharashtra etc. It is also decided that none of the team members will take any remuneration for the work we do for this project. The website is up. But our task doesn't end there. We have to prepare more than 1000 objective type questions to run this. Daily monitoring is another task. Continue the promotion without spending any money was another. "Shall we try for some sponsors for this?" one day we asked Somayyaji. "No" was his stern reply. "Then the sponsor may ask us to display their banner advertisement on our page. We do not want to put anything unrelated to Gandhiji on our pages. Money making is not our idea." Explained Somayaji. "Can we try to get someone to buy Gandhian books and donate the same to us to use as prizes?" we asked. "That is a different story. You can try for that. But remember we do not accept any money directly from anyone. They can pay for books or other materials related to Gandhiji from our store and then make those items available as prizes." Somayyaji at last consented when we persuaded a lot. We are common people getting a normal salary to lead a normal middle class life. So we do not have any extra money to spend. But time, talent and dedication, we have enough to spare. That is what we are offering to Somayyaji who has helped us in making this project live by offering unconditional support. As we have said earlier, any promotion by spreading the news or making any Gandhi related books or articles available as gifts to give as prizes are welcome. More than 600 have already registered for the quiz. It may rise to 1000 by 30 January.2019. Anyone can register and participate in the quiz till 2nd October 2019 and on that day we have planned the last one-day quiz. We are trying our best to spread the news and get more people join this quiz. Our aim is to spread the Gandhian ideas and philosophy among younger generation. Thus prepare them to lead a peaceful life. We want all to have The Story of My Experiments with Truth in every house. There are One-Day Quizzes and Monthly Quizzes. Every day three objective type questions to answer. Answer before 9 in the evening. New Quiz starts on 1st of every month. No cash, No highly priced item as prizes. Only Gandhi related books and articles. Starting with ten copies of the autobiography for the first two months. Which may increase to 20 or more in coming months if we get more copies as donation. Spread the news, talk about it to others and that is what we are requesting everyone. Thanks a lot well in advance for your support. One Registration using one email Id; that is the basic rule.. The email id you have used while registering cannot be changed. email id is used as username to log in. Password can be Numeric, Alphabetic or Alpha-Numeric. email id is also used for username/password recovery. Submitted email id won't be displayed anywhere on the website. After the Registration we'll send you an email to verify your email id. If it is not in your Inbox, please check Spam, Junk, Trash, or Deleted folder. Till the verification is completed, one cannot participate in the Quiz. Use the Resend Button to sent the Verification Mail again.